Laminated furniture does not have the problems with condensation from ice in cold drinks causing water marks. It is a special finish that washes and wipes clean. 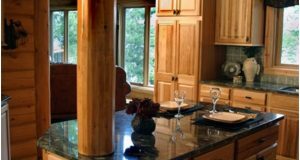 However, that is not true with real wood such as softwoods of pine, hardwoods of maple, birch, beech, basswood, butternut, black cherry, cottonwood, hickory, ash, alder, aspen, fir, and more. Remove white circles from wood using the tips below. 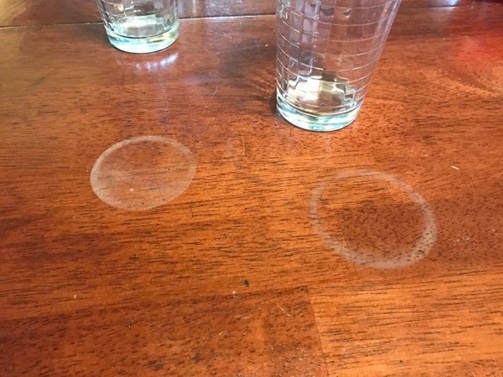 To prevent those ugly circles, use coasters so it doesn’t happen in the first place. Wood does not like water and being porous, will soak it up. The white marks are showing the moisture that is trapped in the finish not the actual wood; when it gets into the wood, it turns dark or black in color and that usually needs refinishing or a professional to fix the problem if you are not up to the task. Spots, rings, or cloudiness might not be removed totally, but can at least be reduced without the need to refinish those spots. I have had this happen from hot food drips, burger sandwich juice drips from friends eating at my solid pine wood table. 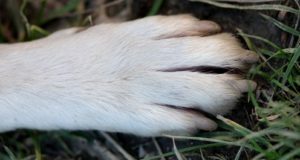 What I have done successfully is use a clean white cotton cloth with dry ashes from my wood stove rubbing with the grain of the wood. 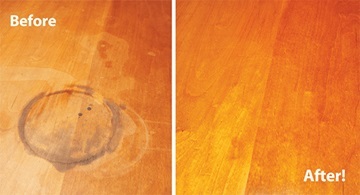 Most solid wood tables have a finish with a stain and some type of oil. Try to act as soon as you see the stain; the longer it waits the more it soaks into the natural wood. Remove any water from your steam iron. Plug it in and set it on low heat. Cover the spot with a clean dry white towel or cloth. Set the iron on the cloth at the spot using circular motions. Lift the cloth or towel and see if the spot has disappeared or at least faded. Continue until the spots are gone. Use your hair dryer on low to medium heat back and forth over the area for about 10-minutes. The dampness should fade away into the air. Do not use Kraft® Miracle Whip because it is not the same as mayonnaise that has more oils in it. 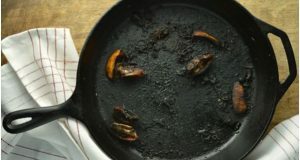 Mayonnaise works best with ashes in it too. If procedures 1 or 2 did not work, apply a small amount of mayonnaise to a clean white cotton cloth to rub the stain. Don’t use paper towels. Let it stay on overnight. If it dried out, apply mayonnaise again in the morning or use petroleum jelly such as Vaseline® if you have no mayonnaise. The gist of this is the oil in the one of the two products you put on the wood will soak into the pores and cells of the wood moving the moisture out and it works the best with the slight dryness and roughness of ashes that will not scratch. Toothpaste can ruin the finish so only use it on the spot sparingly and quickly not rubbing too hard and in the direction of the wood grain. Use plain white, non-gel toothpaste, not those with beads or whiteners. Squeeze a dab onto a clean cotton white cloth, not paper towels that can scratch, and gently rub for about 60-seconds. You should see the effect immediately. If none of these methods works to remove white circles from wood, you will need to do it the hard way or take to a professional wood finisher. Sand down the stain with the extra fine 0000 steel wool. Rub gently with the wood grain increasing your hand pressure until the spot starts to disappear. It will look dull and with no luster or gloss. Mix together a half-and-half dilution of French polish with denatured alcohol. The alcohol thins out the thick French polish to apply easily. Take one or two of the round cotton pads and put the polish mixture on and rub with the grain of the wood. Overlap the spots and gently make strokes until it looks right for your eyes. Let it dry and you should be finished. Now that your table is beautiful again, pass out coasters to your guests. Hot pizza containers will leave condensation marks on wood too; so, sit it on a towel. How to remove a white heat stain from wood furniture video. Another excellent video demonstration below if the top first four procedures don’t remove the water rings or heat stains on your wood tables or other wood furniture. How to remove white water rings from wood and remove heat stains from wood furniture video.